It’s the perfect time of year for rock projects! When’s the last time you made your own pet rock? Or collected river rocks to paint? 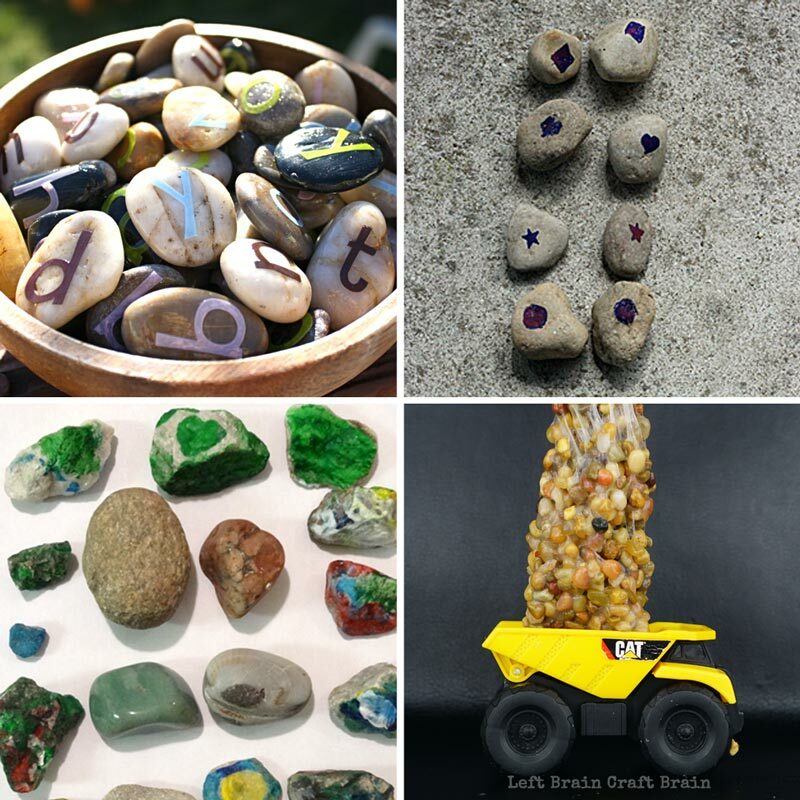 This is an awesome collection of rock crafts, activities, and science for kids that includes making beautiful garden stones and rock play. Rocks are an amazing arts and crafts supply. One of our favorites because you can find them everywhere! Earth Melted Crayon Rocks for Kids || Left Brain Craft Brain – We have created some really amazing rock projects in the past, but this is one of my favorites! How to Make Story Stones || A Crafty Living – These planet themed story stones and galaxy play dough are so easy to make and even more fun to play with. Puffy Painted Rocks || Babble Dabble Do – This is your next go to craft project! It’s simple set up and make beautiful painted rocks. A Garden Treasure Hunt with Painted Rocks || One Perfect Day – Create your own treasure hunt with painted rocks! Make Your Own “Rock” Band || Fantastic Fun and Learning – Give your kids a chance to make their own rock band. They are going to love it! Pet Rocks || Living Well Mom – I’m a sucker for DIY projects. Pet rocks have been one of my favorite things to create since I was a kid! We will rock you…with googly eyes! | Little Moments to Embrace– This is adorable! Put a fun twist on your next pet rock. 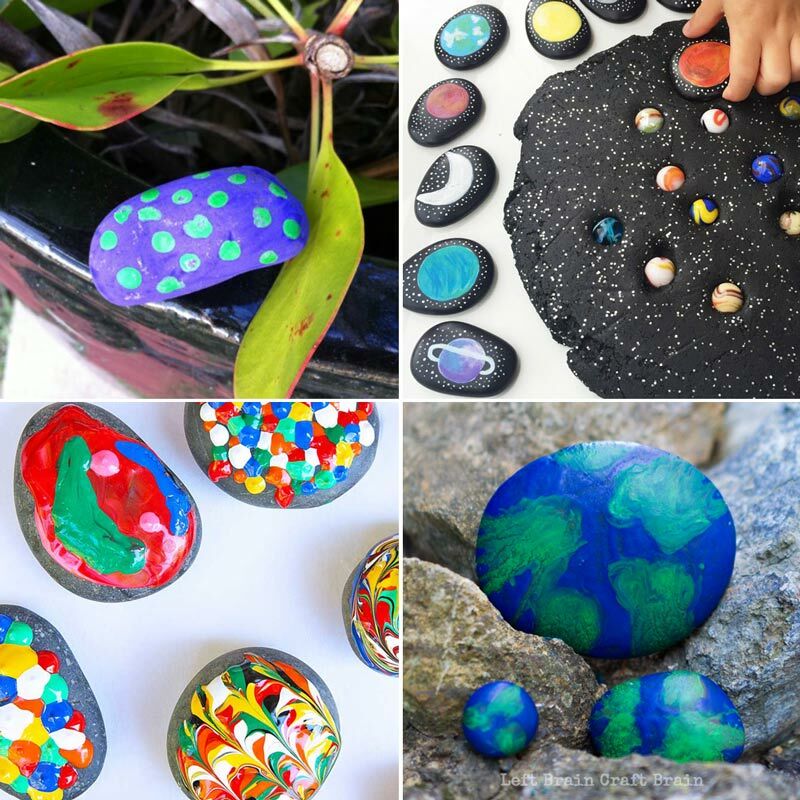 Earth Day for Kids – Stone Painting || Twitchetts– Make earth day for your kids more exciting and knowledgeable by allowing them to paint rocks and learn about the texture of earth. Chalk Rocks || Babble Dabble Do – Your kids are going to love this one. Make your own chalk rocks! 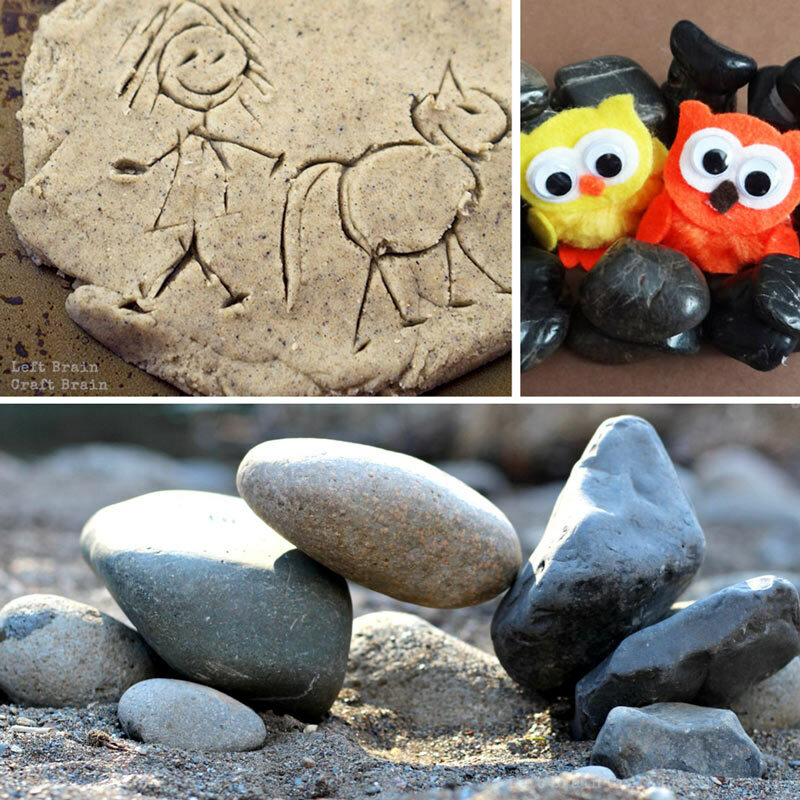 Add a little play to your rock game with these fun rock activities. 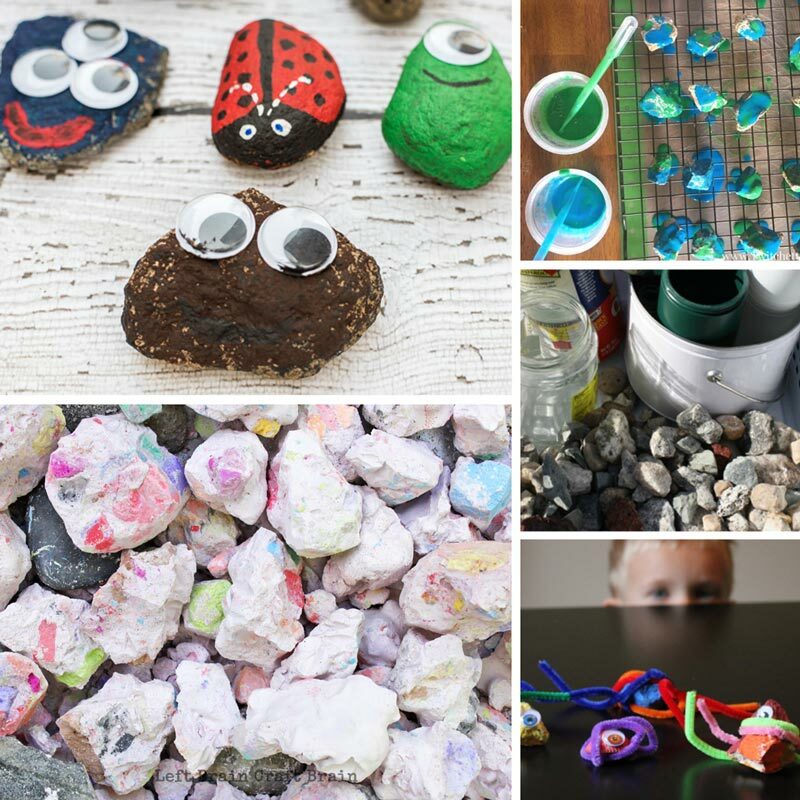 Buildable Rock Slime || Left Brain Craft Brain – Your kids are going to LOVE this DIY rock project! Grab a couple of your favorite trucks and have fun exploring. Check it out in action here. 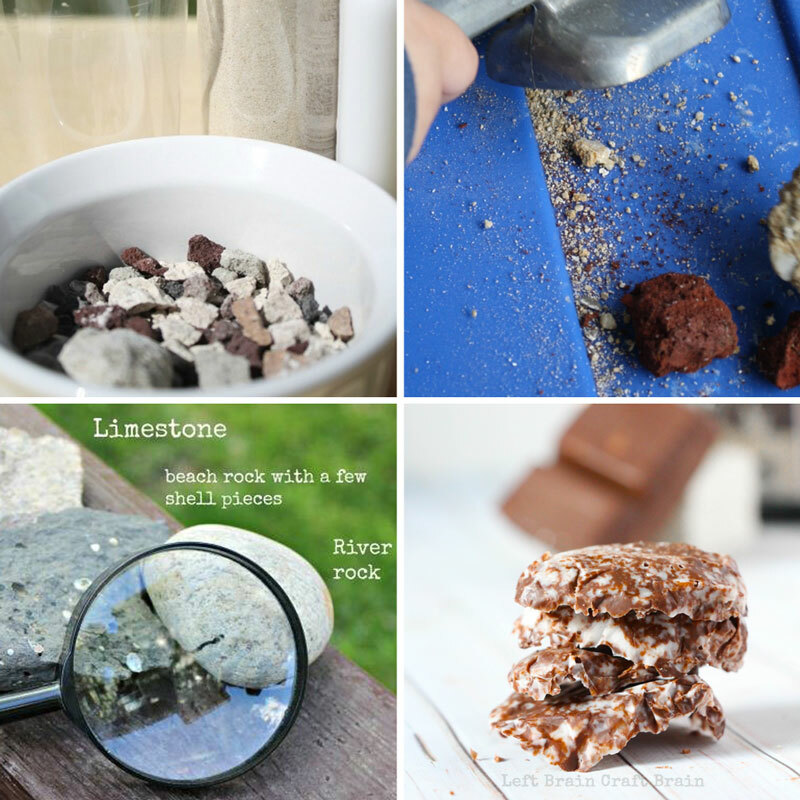 The Rock Collection || Inspiration Laboratories – Kids love collecting rocks! Give them a fun way to explore their new rock collection. Letter Stones || Buggy & Buddy – Have you tried making letter stones? 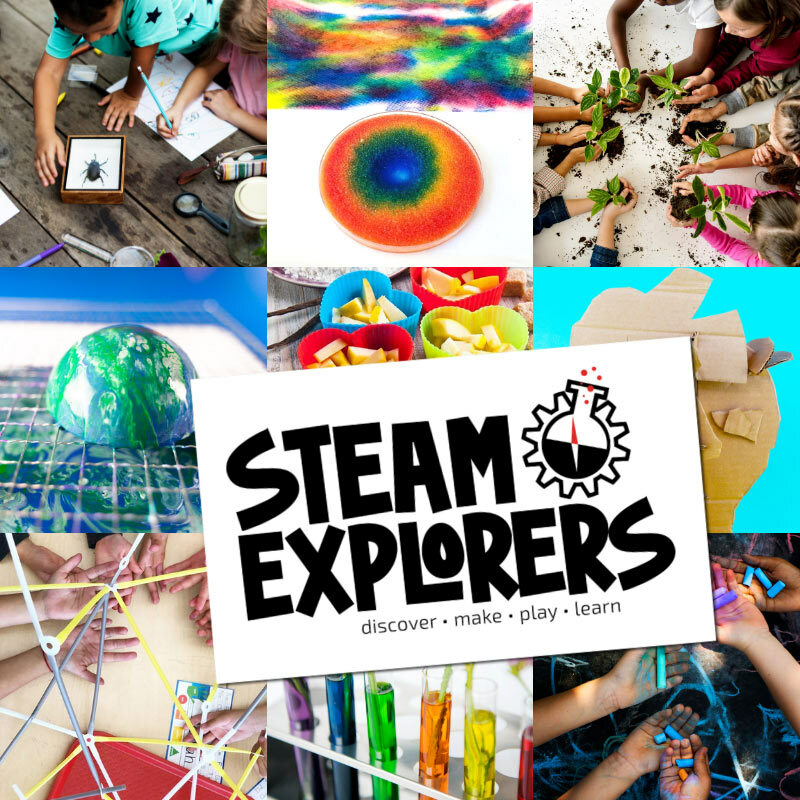 It’s the perfect learning activity! Rock Memory Game || Spell Outloud – Make a fun rock memory game next time you’re hanging out outdoors. Play Dough Petroglyphs || Left Brain Craft Brain – Try adding a little history to your next creative, hands-on lesson. Stone Craft: Build Towers || Inspiration Laboratories– Building towers are one common activity which kids love to do with their collection of rocks. Rock Balancing Activity || Rhythms of Play – Wow! This will be one of your go to rock projects. It’s a great DIY rock project your kids can create on their own! It’s so important that kids learn the science of the rocks they see every day. Here are some fun ways to do it. Make a Chocolate Rock Cycle with Chocolate Rocks || Left Brain Craft Brain… Learn about the different types of rocks with this delicious activity. Plus we whipped up a rock cycle diagram for you that includes a fill-in-the-blank version for kids to do at school or home. 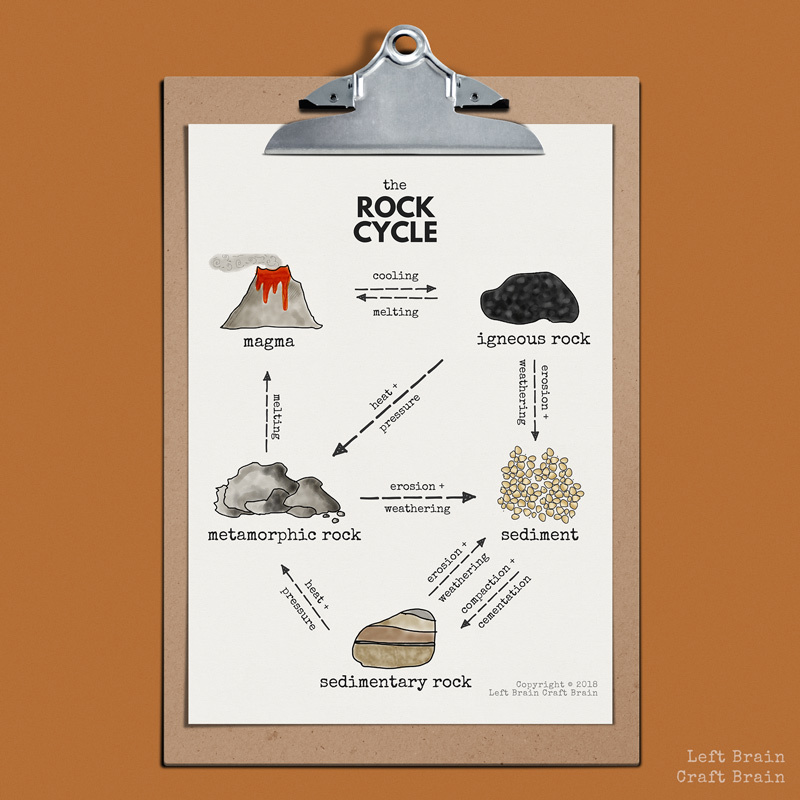 Want a printable version of this rock cycle diagram? You can download it here. Click Here to Download Your Rock Cycle Diagram Printable Rock Demo Science Fun for Kids || Fantastic Fun and Learning – Make learning about rocks and their properties fun! 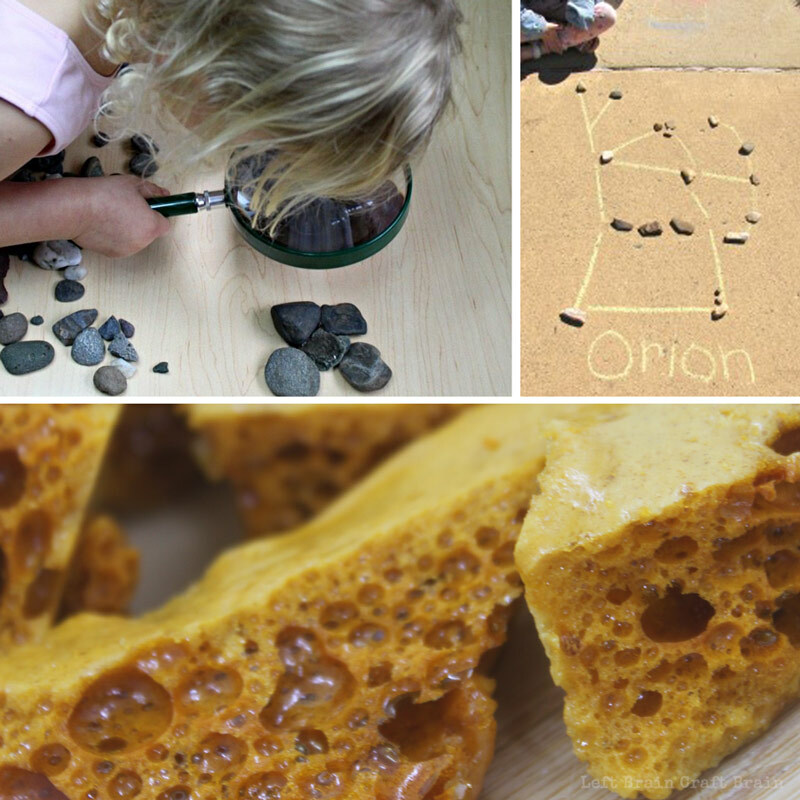 Rock Testing Experiment || KC Edventures – Have you tried testing rocks with your kids? This is a great article to get started! How to Make a Rock with Kids || Fantastic Fun and Learning– Unleash the creative side of your kid by making your own rocks. Constellation Art With Rocks and Sidewalk Chalk || Creekside Learning– Help introduce your kids to constellations with the rock art and sidewalk chalk. Sorting and Classifying Rocks: Geology for Kids || Rhythms of Play– Your kids are going to love learning variations of rocks while they sort! Lava Toffee || STEAM Powered Family – This is a delicious way to learn about igneous rocks! I’m in love with this book! 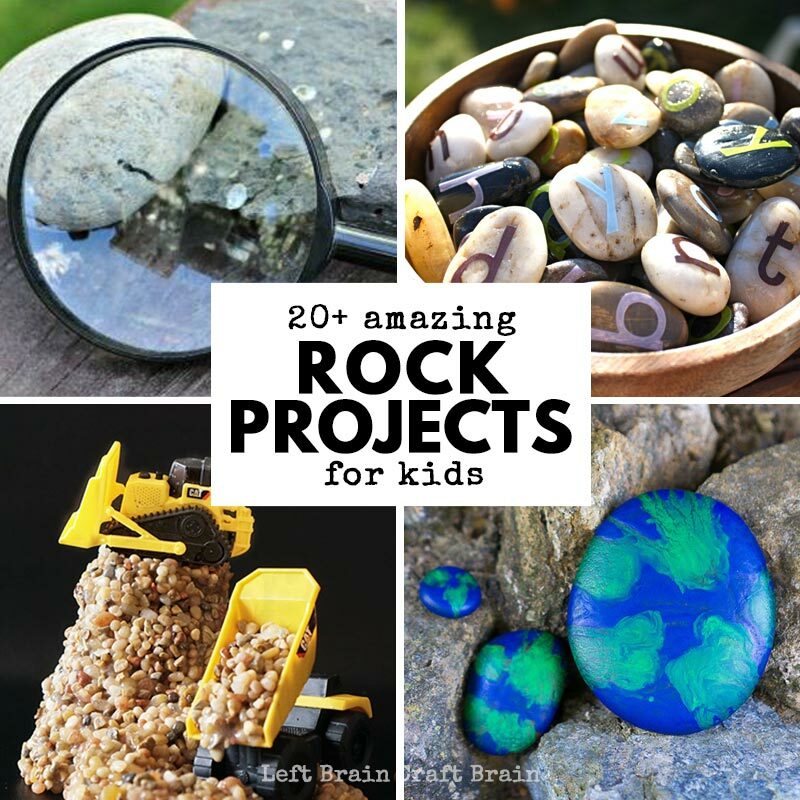 The pictures in this book are perfect to help kids explore the rock projects they are creating! Rocks are a great thing to study for Earth Day. 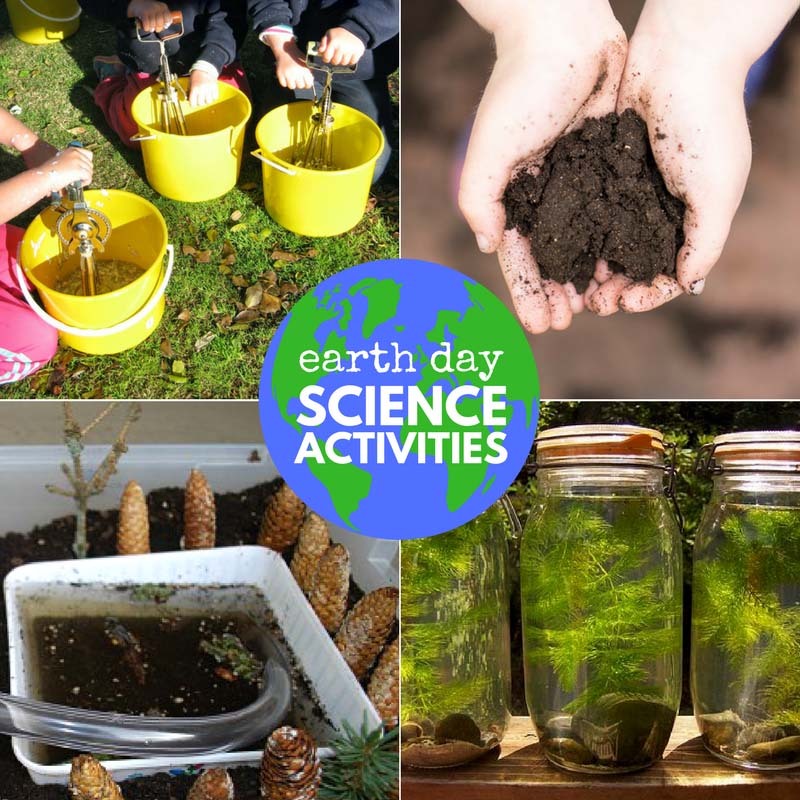 Check out these other Earth Day Science Projects for Kids! And follow along by following Left Brain Craft Brain on Facebook or by signing up for our newsletter.